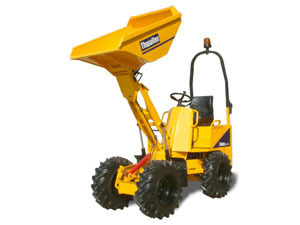 The 1 Tonne hi-tip features a high-lift function for tipping into builders' skips. 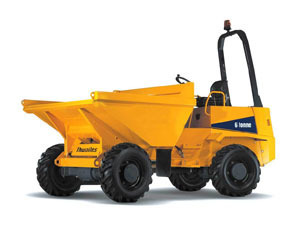 Yanmar 3TNV76 15.9 kW/ 21.4 bhp three-cylinder water-cooled diesel. Full automotive controls, less than 1200mm wide standard on standard wheels. Fitted with folding roll bar. 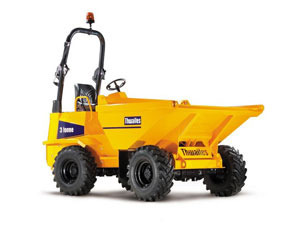 The Thwaites 3 Tonne front tip hydrostatic dumper is one of the most popular models with standard features of four wheel drive, hydraulic tip, ignition key start, towing eye and power steering, making these the perfect choice for towing equipment on difficult terrain. 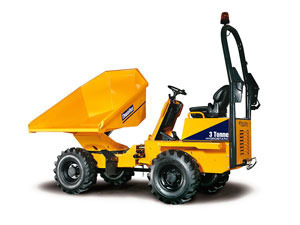 The Thwaites 3 tonne power swivel dumper has the same features as a normal dumper but with the added benefit of the power swivel function which makes them ideal on jobs where turning space is limited as the load can be directed through 180 degrees. Adjustable suspension seat, fitted with high visibility rigid seat belt with adjustable web, accessible from both sides. Audible warning device for handbrake in “on” position, electric horn, large pedal pads, ignition key, park brake and skip controls ready to hand. Super bright LED warning lights visible from the driver’s position for all critical functions. 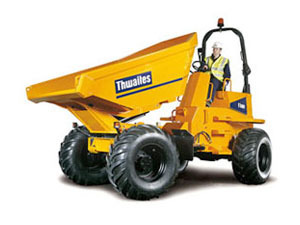 The Thwaites 6 tonne power swivel dumper has the added benefit of a powerswivel skip simply operated by a simple four way joystick. 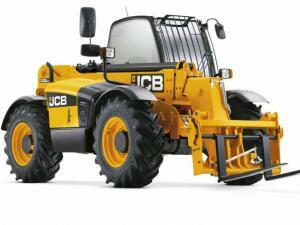 Features as standard include four wheel drive, ROPS frame, ignition key start, hydraulic tip, power steering, reversing alarm and towing eye. 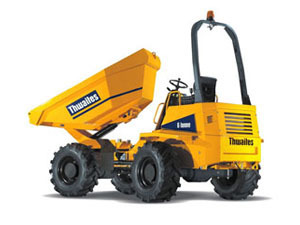 The Thwaites 9 Tonnne range gives them vast capacity – 4600 litres heaped or 2155 litres of water – in a beautifully articulated vehicle. 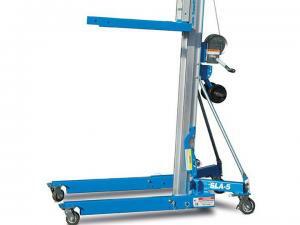 The Kinglink frame is a big plus, making the 9 Tonne operate as easily as a much smaller vehicle. From the spacious driver’s platform, you can see everything. 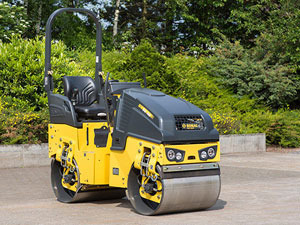 Boasting an efficient sprinkler system and really easy handling, Bomag’s BW 80 AD-5 makes the job easier than ever. The BW 80 AD-5 can work equally effectively in tight spaces. 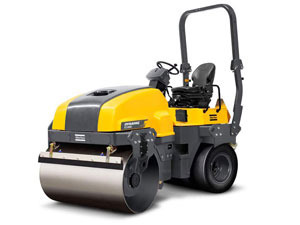 The next generation BW120AD-4, establishes the “benchmark” for all other competitive rollers to measure up to. 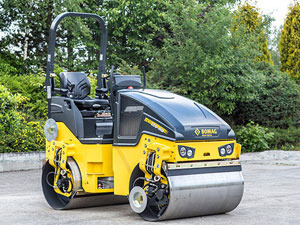 Combining compact size and high maneuverability with heavy tandem roller features the new BW120AD-4 delivers outstanding performance. The CC1200 features vibration and drive on both drums. 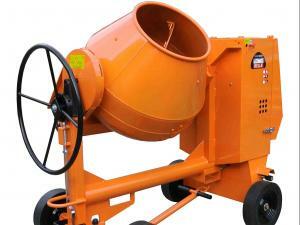 A large drum diameter makes them especially effective on soft asphalt. The ratio of drum diameter to static linear load reduces the risk of cracks, perfect for urban areas, streets and roads. Three separate filters in the sprinkler water system ensure no clogged sprinkler nozzles. The entire system can be drained easily without special tools. 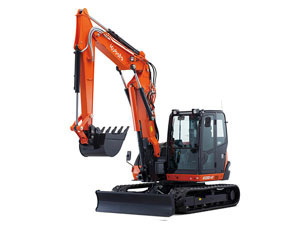 Kubota’s zero-tail swing makes the U17-3α an advanced mini excavator. 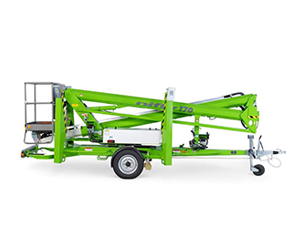 The U17 boasts 2 speed tracking, zero tail swing, expanding tracks and 20% more power than any other machines in this range. 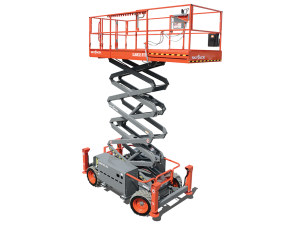 Excellent stability and smooth control, combined with unmatched power and efficiency, mean there are no limits to what you can accomplish — even in heavy traffic areas and inside buildings. 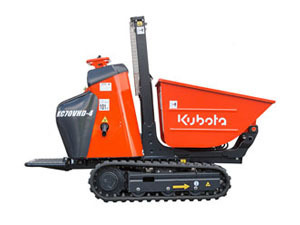 Combining the power for demanding jobs and the versatility to work in any condition, the Kubota U48-4 is ready to take on any challenge. 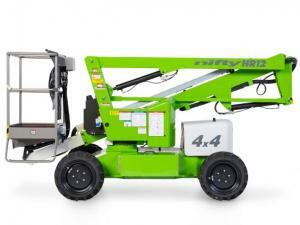 This advanced 4.7 tonne machine is designed with excellent stability to work efficiently even where space is confined. 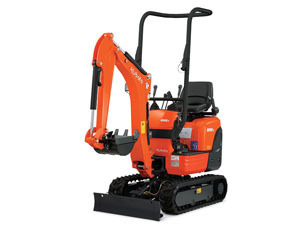 With superior digging and lifting power, together with smooth travel performance, this Kubota truly has it all. 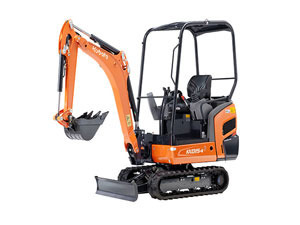 Kubota KX080-4 excavator delivers all the power you need while going easy on the environment thanks to new direct injection diesel engine with Common Rail System (CRS) and Diesel Particulate Filter (DPF) muffler, and a host of functions and equipment including ECO PLUS. 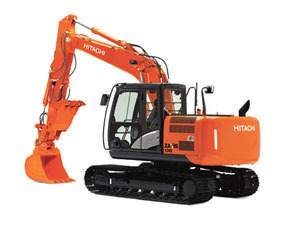 Furthermore, its digging force is superior among 8-tonne excavators. 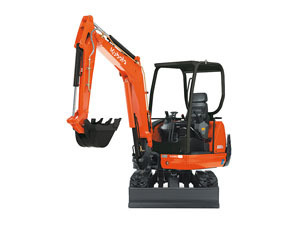 The ZX130-6 is loaded with enhancements that make it even more efficient, reliable and durable. 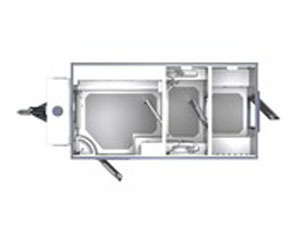 The spacious cab features a wider door with more glass, more side-to-side foot room, better visibility out back, additional mirrors, enhanced seat, improved multifunction/multilingual monitor and more. 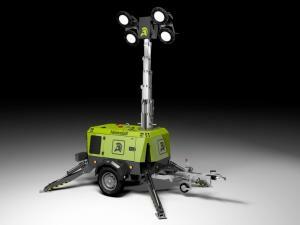 Designed to give you big performance in small areas, it’s perfect for urban working and restricted construction sites. 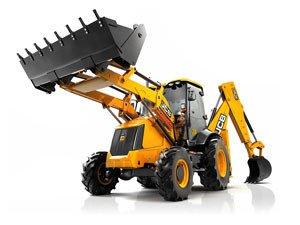 Ease of use, controllability and legendary JCB build quality is also standard on the 3CX. 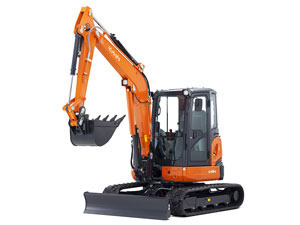 The efficient Kubota K008-3, with enhanced operator protection, is the super mini-excavator of choice for tough jobs where space is limited. 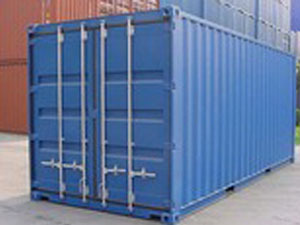 Road towable, self contained secure steel unit. Canteen for 7 with instant hot water boiler and microwave. 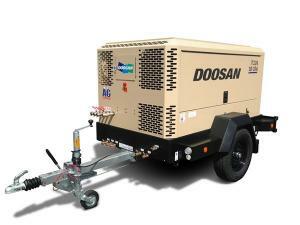 Powered by a diesel generator. 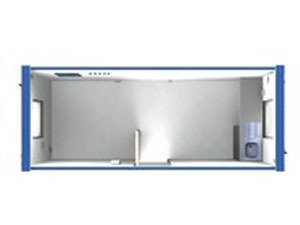 Canteen for 10 with instant hot water boiler and microwave. Two showers with drying area, bench seating and hooks. Fully sealed and anti vandal build. Anti-vandal doors and windows with external shutters. 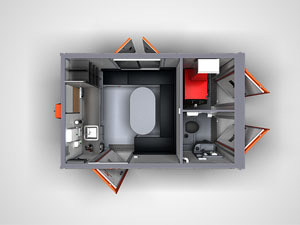 Configurable to suit specific requirements. Steps and Landings available for double stacked units. 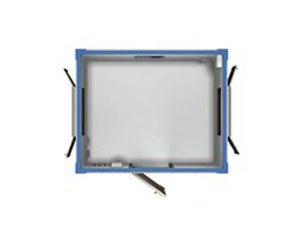 Heavy duty and watertight designed for long term use. Sizes available: 8 x 5, 10 x 8 and 20 x 8.